You’ve had a hearing evaluation, chosen a hearing aid to match your lifestyle, and now the time has come for a fitting. Please feel free to bring a close friend or a family member along for moral support and as an extra pair of ears to remember the details. First, your audiologist will program the device to match your prescription and tune it to your specific hearing needs. Then during your fitting the audiologist takes time to explain how to use the different settings, and how to place the device in the ear and remove it. Your audiologist also goes through practical aspects such as care and cleaning of the device, and changing the batteries. The first time you put the hearing aid in place and listen, don’t worry if you feel mixed emotions. Hearing a variety of sounds again after a period of hearing loss can seem a little overwhelming. This is quite normal, and it does pass. Indeed, your audiologist will fine tune the device at the fitting, so these sounds are clear and comfortable, as well as testing the device to check it’s providing you with sound amplification where it’s most needed. They may also ask you to answer of short list of questions. This is not a test but a means of helping the audiologist understand what you are hearing, so they can make it the best listening experience possible. Remember, this first fitting is just a beginning. 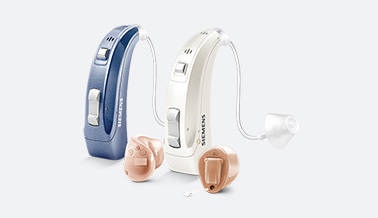 As you gain confidence and wear the hearing aid in different situations, over subsequent appointments the device is adjusted and customized to your hearing needs. It may also be of interest that studies show people with a positive “can do” outlook, adapt more quickly to wearing a hearing aid. So approach this first fitting with a positive attitude, along with your friends and family, and you’ll reap the benefits much sooner. It takes time to become accustomed to hearing sounds you been missing for years, but working with your audiologist, you’ll soon enjoy the confidence your new hearing device brings.